2018 has shaped new opportunities for the year to come. The exponential growth of data will continue to have the biggest impact on enterprises and how they manage their businesses, leaving firms open to improved technologies to solve their increasing data challenges. At Attunity we see three big topics shaping the data landscape in 2019. The race for processes that allow enterprises to capture and manage constantly changing data across the organization has begun. 2019 will welcome a more collaborative data management practice as enterprises try to integrate data in real time for better business insights. Although relatively new, DataOps will be key to improving communication, integration and automation of data loads between business analytics consumers and the data/IT teams. Consumers using a DataOps strategy will be able to advance the speed and accuracy of their analytics and improve productivity. By leveraging real-time integration technologies such as change data capture (CDC) and streaming data pipelines, DataOps is disrupting how data is broadly shared and how it is made available across the enterprise. Thanks to the increasing focus on integration and automation, it will break the silos in IT operations. This will allow organizations to move data at the speed of change while providing more information on the different source data collected. Companies will benefit with better business insights and a keen competitive edge. This year focused on a mass data movement to the cloud, taking big steps to consolidate analytics-ready data. Whether driven by hybrid environments or full cloud strategies, the trend now is moving fast toward a hybrid and multi-cloud approach. As all public clouds are not created equal, enterprises will increasingly invest in various cloud platforms that will respond to different business requirements. We will continue to see a proliferation of infrastructures, databases and analytic tools that address very different functions - giving more flexibility to move and use the data. However, organizations will have to face the challenge of bringing all the information together for proper analysis. In 2019, enterprises will turn to modern data integration approaches that can automate data pipelines to support modern analytics platforms, such as data lakes or cloud data warehousing. In this context, IT leaders should take a deeper look at their data integration architecture to ensure that it can keep pace with rapidly changing infrastructure, data volumes, and business requirements. Data lakes can bring immense value by decoupling the storage from the compute and provisioning specific data sets to support different analytic use cases. To overcome the complexity, modern data integration pipelines support orchestration and automation across the multi-step process of data ingest, transformation and provisioning. With the cloud, data lakes, a wide variety of analytics engines and modern data integration platforms at their service, enterprises will be able to analyze data at the speed of change to stay relevant and competitive. A 20-year marketing veteran, Dan Potter is VP Product Management and Marketing at Attunity. In this role, Dan is responsible for product roadmap management, marketing and go-to-market strategies. 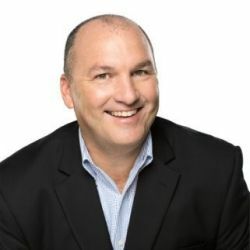 He has also held prior roles at Datawatch, where he was CMO, and IBM where he led the go-to-market strategy for IBM's personal and workgroup analytics products. Dan has also held senior roles at Oracle and Progress Software where he was responsible for identifying and launching solutions across a variety of emerging markets including cloud computing, real-time data streaming, federated data, and e-commerce.